Pete's career as a faculty member and administrator at Penn State spanned 27 years. Between 2000 and 2011, Pete served in the director of academic affairs role for World Campus (Penn State's online/distance campus http://www.worldcampus.psu.edu). For the first nine of those years he was Director of Academic Affairs (DAA) for all programming, and from 2009 through 2011 as DAA for Graduate Programs. 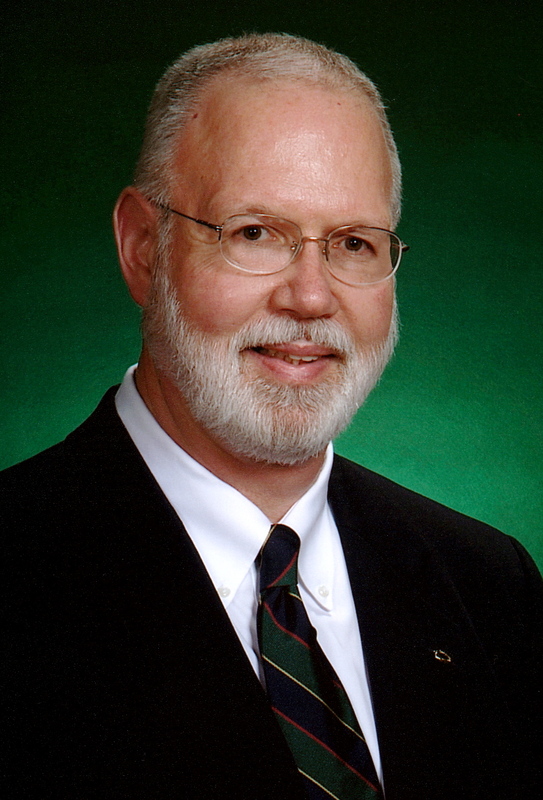 As DAA, Pete was responsible for managing the new program exploration and selection process and an accompanying pipeline of new program ideas, working with partner academic units, Outreach Marketing, Outreach Market Research and the DAA for Undergraduate Programs to strategically build the World Campus curriculum of degree and certificate offerings. The planned and data-based approach to program exploration and selection he implemented, generated a curriculum expansion that made possible double-digit annual growth in World Campus enrollments across nearly a decade, and contributed to a 2011 ranking by The Best Colleges as the #1 online institution and recognized by the Sloan Consortium with its award for Excellence in Institution-Wide Online Education. Pete's responsibilities also included co-administration of the Program Planning and Management and Evaluation units of World Campus, as well as collaboration/coordination with the faculty development, learning design, marketing, market research, and student services units as they were involved in the development, delivery and maintenance of academic programs offered via the World Campus. Pete convened the World Campus Strategic Management Group, which deliberates on strategic matters including enrollment and financial goals, and he represented the World Campus on academic affairs-related Outreach and University committees, such as the Graduate School Task Force on Professional Master's Degrees, and the University Task Force on World Campus Faculty Capacity. Pete worked closely with the Graduate School and served on the Graduate Council. Prior to joining World Campus, Pete was a science education faculty member in the College of Education for 16 years (1984-2000). During the last six years, he served for six years as head of the Department of Curriculum and Instruction (C&I), which is home to the University's two major teacher education programs (i.e., elementary teacher education, secondary teacher education) and nationally ranked graduate program for educators in areas such as language and literacy education, mathematics education, science education, and social studies education. While head of C&I, the professional development school model of teacher education was introduced. Pete chaired the Central Pennsylvania Holmes Local Partnership Steering Committee and served on the College of Education Strategic Planning Committee, Dean’s Executive Committee, and Professional Certification Coordinating Council for Teacher Education. Pete came to Penn State in 1984 to serve as the first director of the Center for Education in Science, Technology and Society and associate professor of science education. Between 1988 and 1992 he was Professor-in-Charge of Science Education, and from 1993 to 1995 a Continuing Education Fellow in the College of Education. Pete was tenured at Penn State in 1988 and promoted to professor in 1992. From 1976 through 1984, Pete was on the science and environmental education faculty in the College of Education at Southern Illinois University at Carbondale where he earned tenure and associate professor rank. Across his faculty career, Pete taught undergraduate science teaching and learning courses for prospective secondary science teachers, and graduate courses in science education and education research design and methodology. While at SIU-C, he also taught courses in the Med-Prep Program (a medical school preparation program for students with non-traditional baccalaureate preparation). Pete holds a B.S. in Chemistry from Ashland College (now Ashland University). Both of his graduate degrees are from Indiana University (Bloomington) -- a M.A. in History and Philosophy of Science and an Ed.D. in Science Education with a cognate in science. Pete taught chemistry, general science, and physics in the Hillsdale School District of north-central Ohio during the late 1960s and early 1970s. Pete’s research and scholarship as a faculty member focused on K-12 student and teacher understanding of the nature of science, K-12 implementation of STS (Science-Technology-Society) education, and science teacher development in STS education. He published widely in these and related areas, and developed a number of research instruments on the nature of science and technology that continue to be widely used. Pete was the founding editor of the Annual Meeting Proceedings of the Association for the Education of Teachers of Science (now the Association for Science Teacher Education) in 1996 through 2002. He was a frequent presenter at national and state level professional meetings in science education, as well as at science teacher professional development programs and workshops. While a faculty member, Pete directed over a dozen funded projects that had complementary science teacher enhancement, research and developmentcomponents from funding agencies, such as the National Science Foundation, U.S. Department of Education, and Eisenhower Program, as well as grants from the GTE Education Foundation, Apple Computer, and AT&T. A GTE award provided fellowships for graduate students from under-represented groups, and through an AT&T award a master’s degree was offered to elementary teachers in rural areas of northwest Pennsylvania using distance education technology. Pete served as the President of the Association for the Education of Teachers in Science (AETS) leading the development of the organizations first strategic plan under a grant from Apple Computer, a member of the National Board for Professional Teaching Standards Early Adolescence Science Standards Committee, and a member of the AETS Board of Directors and the National Science Teachers Association Board of Directors. Across his career, he has reviewed manuscripts for the International Journal of Instruction, International Journal of Science Education, Journal of Research in Science Education, Journal of Science Teacher Education, School Science and Mathematics, and Science Education. Between 1995 and 1999, Pete served as project evaluator for the West Virginia K-12 RuralNet Project, a $10M project that wired WV schools for the Web and provided related teacher professional development. Pete has been a participant and presenter on distance education at Sloan Foundation ALN (Asynchronous Learning Network) Summer Research Conferences, and ALN, CADE and WCET annual meetings, and represented Penn State at ADE, Excelsior President's Forums and Aslanian Group Seminars. He participated in a National Science Foundation sponsored summer leadership institute on program evaluation at The Evaluation Center (Western Michigan University) in 2000, and “Assessing and Refining Your Leadership Style: A Program on Leadership for Senior Executives” offered by the Center on Management Research in Cambridge, MA in 2006. Pete was recognized by Penn State for his work in distance education with the World Campus Leadership Award in 2001, the Outreach Vice President's Award for Leadership in 2010, and the Dubin Pioneer Award in Online Education in 2016. Pete retired from Penn State at the end of June 2011. He is an accomplished carpenter, having begun work along side his carpenter father (a first generation Italian who believed in developing a strong work ethic in his children) at the age of 8. Pete and his wife Sue, a retired mathematics teacher, were married in 1969. The Rubba's have two adult children. They enjoy walking, bicycling, open-water kayaking, ballroom dancing, antiquing, traveling, playing in a local community band, and volunteer work. • Nature of Scientific Knowledge Scale, 1976. • Teacher-Developed Elementary Science LEARNING CYCLE LESSON PLANS, 1990. • GLOBAL ATMOSPHERIC CHANGE: ENHANCED GREENHOUSE EFFECT, OZONE LAYER DEPLETION AND GROUND LEVEL OZONE POLUTION (Teachers Guide to a Science-Technology-Society Issue Investigation and Action Unit for Middle and High School Science Courses), 1995.